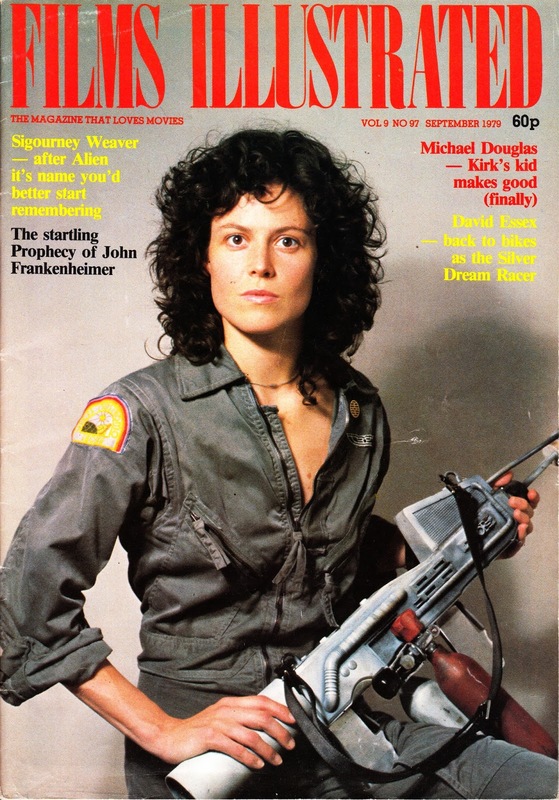 From September 1979: FILMS ILLUSTRATED magazine calls it right with this Sigourney Weaver ALIEN cover. SILVER DREAM RACER ain't bad either. Honest.